Use industry leading micro-assessments to build better teams, lower employee turnover and dramatically decrease your cost to hire. Even the most detailed resume can’t accurately portray a person’s value, and sometimes the best applicant doesn’t fit the traditional mold. AiHire offers an efficient and effective path to the most competitive talent in the job market. Our proprietary assessments provide an unbiased tool to find the best people for your company. Cognitive aptitude tests are twice as effective as job interviews, three times as predictive as job experience, and four times as predictive as education level. Use AiHire's knowledge, character and skills assessments to conduct pre-employment screening, create more effective teams and measure current employee strengths. Our propriety assessments are formulated from the latest research in cognitive and behavioral psychology and provide robust quantifiable data to help your company grow. Reach applicants where they are. 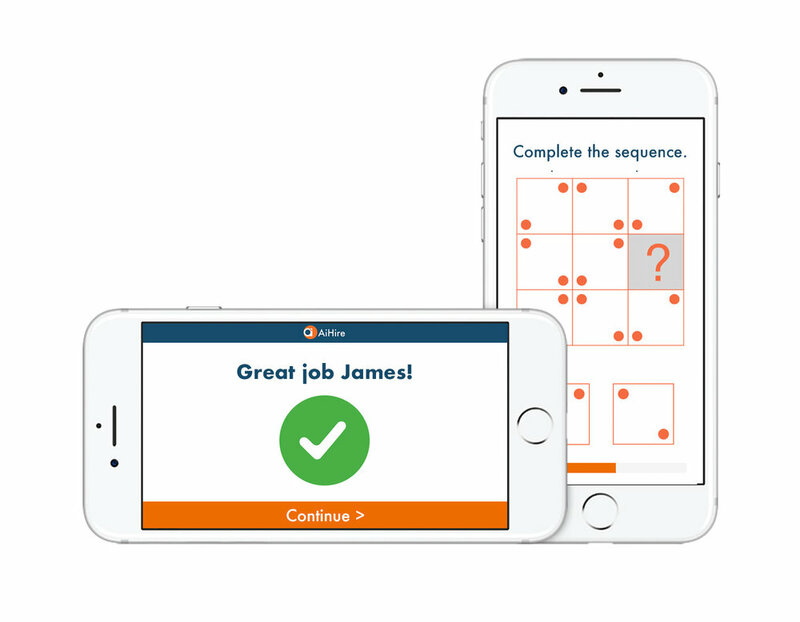 AiHire offers the only assessment solution on the market to reach candidates, collect applicant information and assess their cognitive skils, personality traits, and knowledge base, right from their mobile device. Today's job applicants are mobile-centric. Use a hiring platform that speaks their language. Hours per day on mobile. Remotely interview a high volume of candidates with our custom asynchronous video interviews. Automatic job matching to open positions in your company. Skills-based hiring can boost the bottom line by widening the talent pool, reducing screening time, and eliminating resume biases. And if candidates aren't right for the positions they applied for, AiHire automatically references open positions in your company suggesting better job matches based on an applicant's strengths. A better experience for applicants. It's no secret that the hiring process is broken. Because of poor communication and undefined evaluation processes, most job applicants report the hiring process as being a negative experience. With AiHire applicants are judged objectively on their skills while taking challenges that are fun to play. Our in-app communication and continual feedback mean that candidates are never left in the dark. Pre-employment assessments can reduce employee turnover costs by as much as 80%. 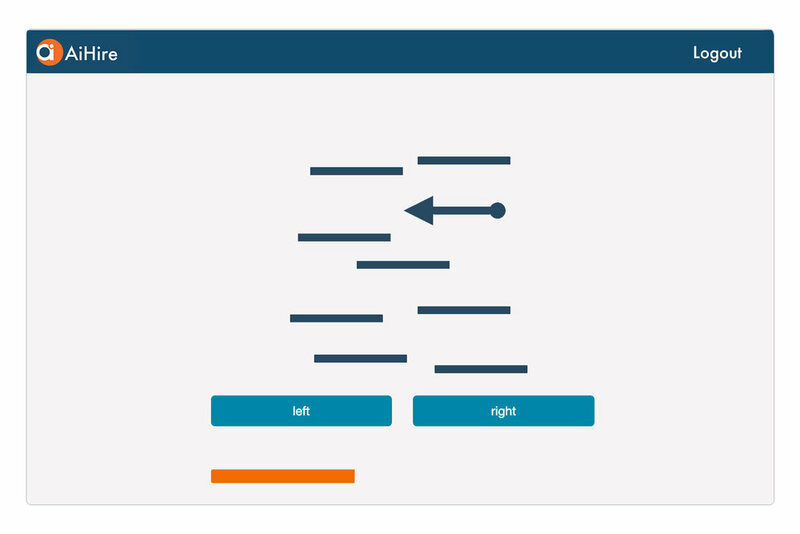 Source, screen and select candidates directly from the Ai Dashboard. Increase your applicant pool by easily pushing job postings to Facebook, Indeed and other job boards. Make critical hiring decisions more confidently using robust applicant data and real-time analytics. Our proprietary assessments are created from cutting-edge cognitive and behavioral research led by AiHire co-founders Chris Camacho, Ph.D. and Mark Elliott, Ph.D and backed by our Global Research Council. Check out our team. See how AiHire can widen your talent pool, decrease turnover and lower your cost to hire.